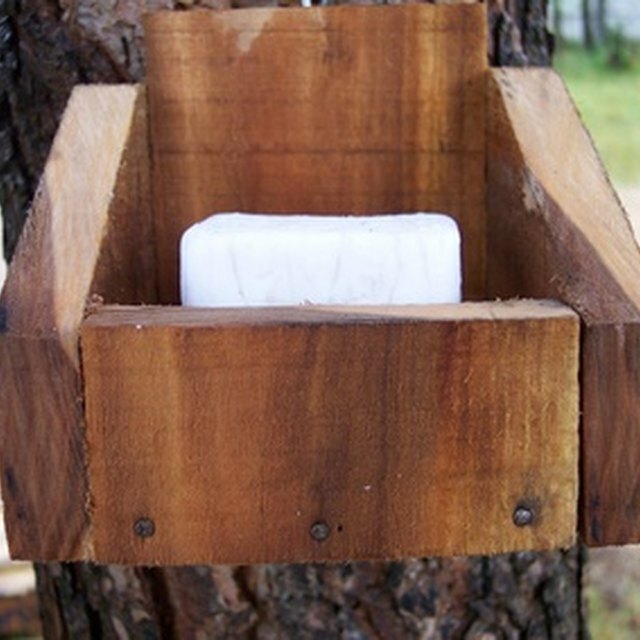 2 How Does Homemade Soap Compare to Store-Bought Soap? In light of all the hype about "going green" and utilizing earth-friendly products, castile soap may be an appealing option. The soap is formulated with natural ingredients such as vegetable oil or olive oil. Other varieties use jojoba and other plant extracts. Castile soap may be a healthy alternative because of its natural qualities and the reduced waste it imposes on the environment. Castile soaps may be used to wash the body and hair. Because some varieties are formulated with olive oil, it can be a healthy alternative to traditional shampoos and conditioners. Replacing two bottles with one bar may also be a more environmentally conscious choice. Liquid castile soaps also have a variety of uses. Some individuals find it effective for general cleaning (when used in a spray bottle with added water). It can also be used for bathing pets, washing clothes and shaving. Castile soaps may benefit individuals with sensitive skin. Because traditional soaps may use harsh ingredients such as detergents and chemicals, castile soap may be a more gentle option. In addition, the olive oil in castile soap may help improve skin conditions such as eczema and psoriasis. Olive oil is a monounsaturated fatty acid that helps the body manufacture prostaglandins.This helps moisten the skin and improves texture.Though many brands of castile soaps exist today, the original formulations of the soap contain olive oil and are produced with a mixture of ingredients that includes at least 80 percent olive oil. The original formulations are still available, though more expensive than other versions. See "Resources" for olive oil formulas. The benefits of antioxidants are widely touted. The olive oil in castile soap is a good source of antioxidants. Regular use of castile soap may aid in fighting cell degeneration. Castile soap is not a modern-day toiletry. This soap may have originated in Spain and was named after the Castilla region. It was said to have been a popular product of royalty and was exported for centuries throughout Europe. Are Energy Bars Good After a Workout?